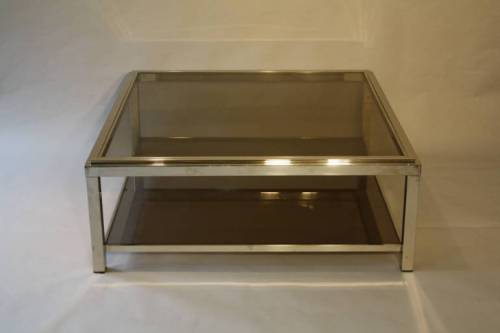 A lovely silver metal two tier square coffee table with slightly smoked glass shelves. Elegant and sturdy and of great quality. French c1970.